MASHUP CONTEMPORARY DANCE COMPANY IS A NON PROFIT ALL FEMALE CONTEMPORARY COMPANY THAT AIMS TO CREATE ARTISTICALLY INNOVATIVE WORKS AND ENGAGE DIVERSE COMMUNITIES IN THE INVALUABLE EXPERIENCE OF DANCE THROUGH PERFORMANCES, AFTER SCHOOL EDUCATIONAL PROGRAMMING, AND PARTICIPATION WITH THE LOS ANGELES DANCE COMMUNITY. MASHUP THRIVES ON COLLABORATION WITH OTHER CHOREOGRAPHERS AND DANCERS AS WELL AS CREATING AN INCLUSIVE AND APPROACHABLE ENVIRONMENT. MASHUP STRIVES TO INSPIRE ITS AUDIENCES BY EXPLORING AND CREATING A UNIQUE MASHUP AESTHETIC COMBINING JAZZ, MODERN, AND HIP HOP VOCABULARY WITH A FOUNDATION STRONGLY ROOTED IN BALLET. MASHUP AIMS TO SHARE THE GIFT OF DANCE AND USE IT TO EMPOWER YOUNG MINDS AND BODIES WITH A SPECIAL IMPORTANCE PLACED ON MOTIVATING YOUNG GIRLS AND WOMEN TO BE STRONG, CONFIDENT, AND ARTICULATE FEMALES. 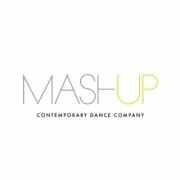 MASHUP CONTEMPORARY DANCE COMPANY WAS FOUNDED IN 2010 BY LA DANCERS/CHOREOGRAPHERS VICTORIA BROWN AND SARAH RODENHOUSE. DRIVING THE VISION FOR THIS NEW COMPANY WAS THE DESIRE TO EXEMPLIFY A POWERFUL AND INSPIRATIONAL FEMALE IMAGE THROUGH THEIR LOVE OF DANCE. MASHUP, TO DATE, HAS PRODUCED SIX FULL LENGTH WORKS ILLUMINATING IDEAS, THEMES, AND STORYLINES TO ENCOURAGE CRITICAL THINKING ABOUT RELEVANT ISSUES IN TODAYS SOCIETY, WHILE MAINTAINING A SENSE OF IMAGINATION THAT POSITIVELY AFFECT OUR AUDIENCES. ASIDE FROM OUR OWN PRODUCTIONS WHICH WERE SEEN IN LA AND OTHER MAJOR CITIES AROUND THE US, MASHUP HAS PARTICIPATED IN NUMEROUS DANCE FESTIVALS AROUND THE COUNTRY SUCH AS DANCESCAPE, LA DANCE FESTIVAL, YERBA BUENA NIGHT, CHARLOTTE DANCE FESTIVAL, SOCAL INVITATIONAL, RAW, MIXMATCH, CHECK US OUT, AND THE LA DESIGN FESTIVAL. MASHUP ALSO VALUES OUR COMMUNITY OUTREACH AND PROGRAMMING WHERE WE HAVE WORKED WITH THE GIRL SCOUTS TO PROVIDE WORKSHOPS AND PERFORMANCES FOR THEIR "DANCE DAY", AS WELL AS OUR WORK WITH LA'S BEST TO PROVIDE AFTER-SCHOOL PROGRAMMING. MOST RECENTLY, MASHUP LAUNCHED OUR ANNUAL INTERNATIONAL WOMEN'S DAY CELEBRATION EVENT WHICH TAKES PLACE EVERY MARCH 8TH AND INCLUDES FREE CLASSES AND AN EVENING PERFORMANCE TO INSPIRE, CELEBRATE AND COMMEMORATE THE MOVEMENT FOR WOMEN'S RIGHTS. Would you recommend MASHUP CONTEMPORARY DANCE COMPANY?